Created by the EOOS design group, OpenSpace is an innovative shower enclosure that is simply folded back against the wall after use – providing extra space and freedom of movement in the bathroom. It is an ingenious solution for any bathroom, and with OpenSpace B it has been expanded to include additional formats based on the successful basic concept. With the new variant, four different dimensions ranging from 90 cm x 80 cm to 100 cm x 100 cm open up a wide range of possibilities in layout planning. 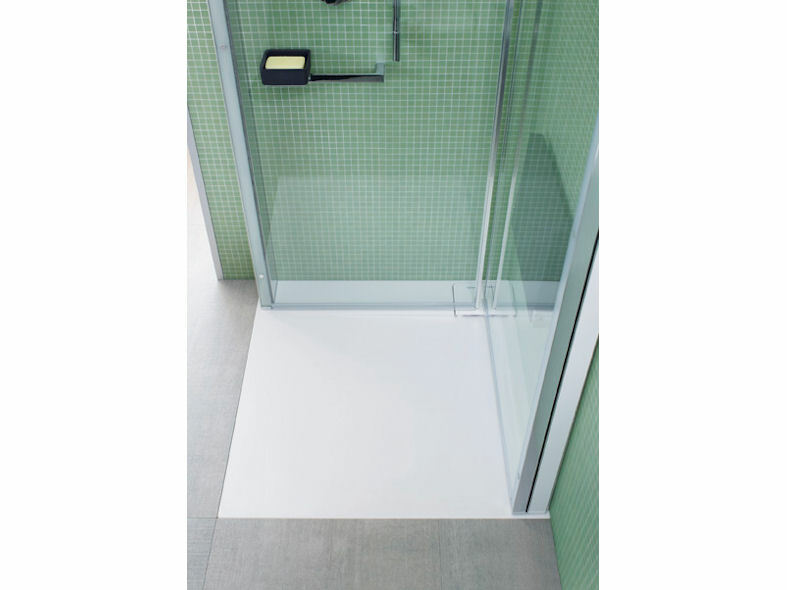 Whether square or rectangular, OpenSpace B can be combined with a shower tray or placed directly on the tiled floor. No measuring service is necessary. It still boasts the same distinctive look: on one side, the optional mirrored door conceals the tap fittings and shower attachments, establishing a relaxed setting while making the room appear larger. The second shower door is made of clear glass. A lifting and lowering mechanism incorporated into the door profile ensures that both doors stop automatically in the shower position and rest directly on the shower tray or floor. OpenSpace B is available at an extremely attractive price, thanks to the simpler design of the wall profiles. Positioned on both sides with slim chrome-look frames and glossy white inserts, these profiles define the contour and ensure stability. At the same time, they can compensate for wall unevenness of up to 20 mm. With the addition of the shower accessories - handle, shelf and seat - the shower area is transformed into a unit that has been carefully thought out down to the last detail, and delivers maximum comfort. In addition to its most obvious function, the handle with its soft shower basket also serves as a door stopper with cushioning effect.